When you need to carry a lot of stuff, you need a Zelda messenger bag. When more pockets are in order, this bag, the Zelda Deluxe works great! 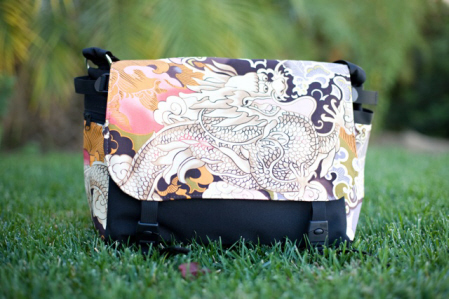 It's a sturdy but lightweight all purpose messenger bag. 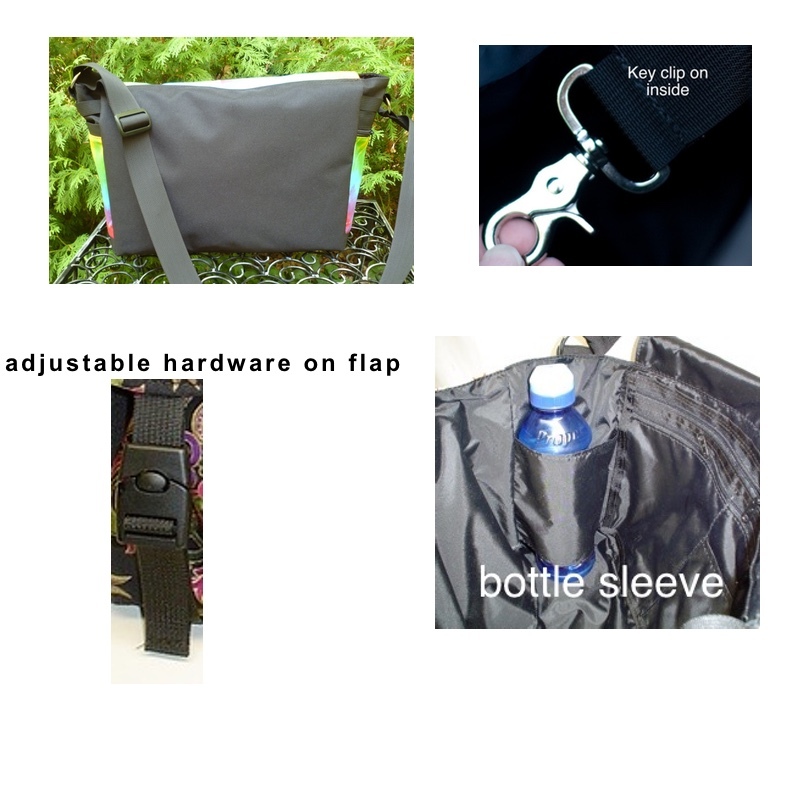 It's perfect for school or work, as a diaper bag, a vacation bag, or for hauling the kids stuff to Grandma's or the beach. Can’t decide on just one fabric? The Zelda Deluxe is also available in the Morphin style, with removable flaps. Overlaid on the flap and pockets with a cotton print to add some "Zoe" personality. I received my bag today and all I can say is WOW it is even more beautiful in person! I LOVE it . One thing I like is that it is softer than I was expecting..... A lot of my previous messenger bags were kind of stiff. I also Like your clasp. I usually do not clasp my bags because they are often difficult to open and close, but yours are simple yet sturdy . VERY NICE! Thank you again. I will let you know soon when I am ready for some accessories. I LOVE this bag!!! The pocket/strap configuration is perfect. The material is actually quite durable. The print is adorable! This bag is my go-to day-to-day bag and has also already comfortably escorted me to and from Vegas and Southern Utah (as a perfect “personal item”). 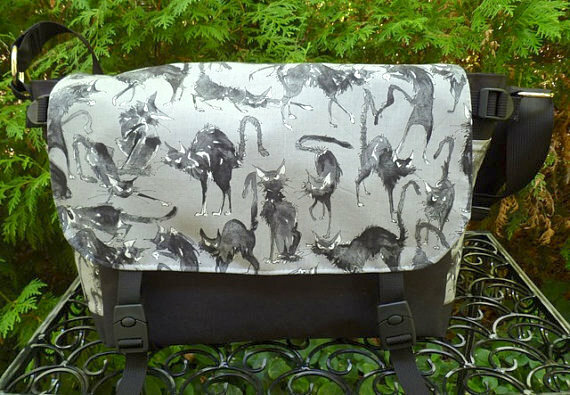 I get so many compliments about the cute print and functionality of this bag. 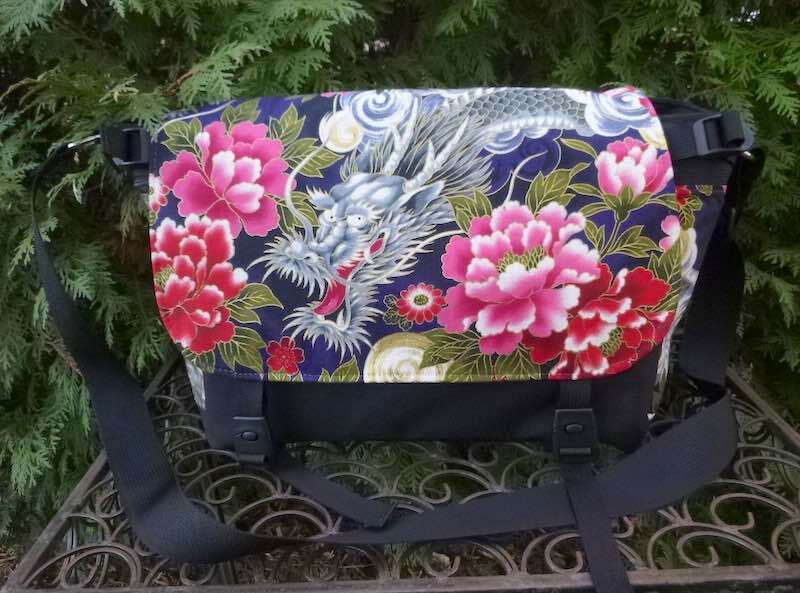 I’ve been on a life long quest for the perfect bag, and this very well may be it! 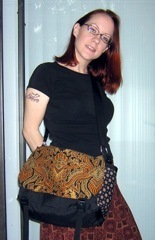 Bags shown above are examples of this style. They are not listed for sale.